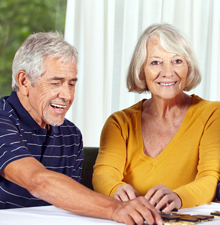 A living trust is a legal document that is used primarily to avoid probate and estate taxes. Although a living trust is an effective tool for avoiding probate and estate taxes, it offers no protection against the rising costs of long-term care. So, what does that mean? A living trust, by its nature, is a revocable instrument, which means that the trust funds are available. This is significant because long-term care costs in a skilled nursing facility have risen to over $6,500 a month, and those costs must be spent out of an individual's available assets before Medicaid assistance becomes available. Therefore, if you had placed $100,000 in a living trust and had a medical event that required skilled care in a nursing facility, you would be forced into what Medicaid planners call a spend down. A spend down refers to the process of eliminating your available assets by paying for long-term care or converting your available assets into unavailable assets until you qualify for Medicaid. Medicaid rules require available assets to be spent down to $2,000 for single individuals. For couples, the figure varies slightly, but the law still requires one of the spouses to become impoverished before Medicaid will kick in. When most individuals set up living trusts, they get the comfort of knowing that their assets are protected from probate. However, protection from probate only matters if there is money left to protect. 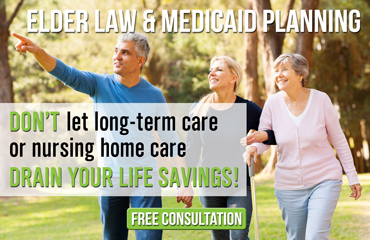 In our line of work, as estate planning attorneys who do Medicaid planning, we get hundreds of calls every year asking about filing for Medicaid after an individual's money has been spent down. By that time, there are not a lot of options available. In an environment where the costs of long-term care have risen dramatically and are increasing every day, a living trust may not be the most appropriate estate planning tool. There are other tools, like an Asset Protection Trust, which are used to protect an individual's money from a Medicaid spend down. Most of the differences between a living trust and an asset protection trust are based in the way the trust's terms are drafted.